In Moazzamabad, Uttar Pradesh—a place that is too large to be a town and too backward to be a city—a young man stabs a police inspector and is beaten to death. The last words he speaks are, “My name is Jimmy the Terrorist.” Journalists descend on the town, ‘like shrill birds’, and a long-time resident decides to tell a story that none of them will know. Jimmy was once Jamaal, son of Rafiq Ansari of Rasoolpur Mohalla, a Muslim neighbourhood in a Hindu town. His story goes back a long way: to the time when Moazzamabad was named, after Aurangzeb’s son; when Rafiq was seduced by the wealth and refinements of Shabbir Manzil and married Shaista; when the Hanuman temple grew 10 storeys high and the head priest was elected mayor; when Shaista died, a mosque was brought down in Ayodhya and Rafiq became a mullah. As Jamaal grows up, watching both his father and his neighbourhood change and curfew reach Moazzamabad, he is changed himself. He becomes Jimmy, one among the countless marginalised, trying to find a place in the world, dimly aware that the choices that shape their lives are being made in distant places, where they have no influence. 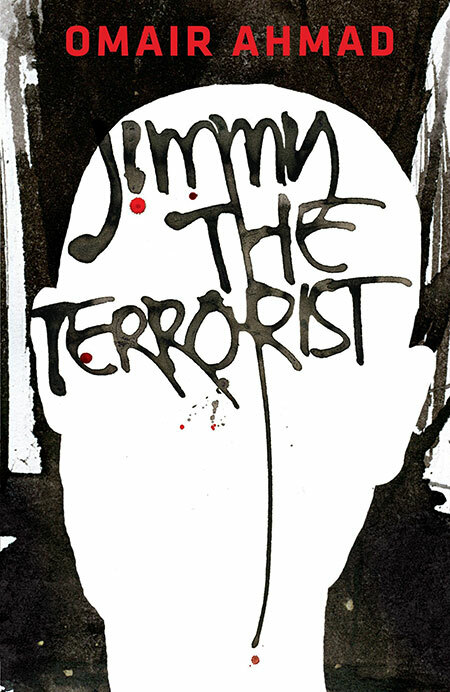 Jimmy the Terrorist book cover. Following the critical acclaim and widespread success of The Storyteller’s Tale, Omair Ahmad, who grew up in Gorakhpur in Uttar Pradesh before he moved to Saudi Arabia, tells a story set in the terrain whose sights and sounds he is familiar with, equipped with a keen understanding of the lives, experiences, and political situation in these parts, given his own experience as a political journalist. The most compelling part of this short novella is the well-detailed and poetically narrated first half, which takes the reader back to the ‘70s, where Jimmy’s father, Rafiq, a young impressionable scholar with a degree to boot, is trying to climb the social ladder and make a place for himself in the world. It gives us a peek into life and times in Shabbir Manzil, where poets and intellectuals gathered to discuss and recite poetry. Rafiq finds favour and lands himself a plum post in the University, given his alliance to Shaista. The relationship between Shaista and Rafiq is carefully constructed, where Shaista initially has contempt for him, viewing Rafiq as a symbol of her limitations to dream and find a place in society as a woman. She uses him to satisfy her physical needs, and cold-shoulders him at other times. With the change in the political environment in the neighborhood, a lonely Rafiq finds refuge in the mosque and develops a new identity, one of an angry young man who wears his religion on his sleeves. The change in Rafiq’s demeanour and the change in other’s attitudes towards him is effectively portrayed in Omair’s racy narrative. Shaista’s contempt for him changes to respect and deep affection for her gentle husband. Omair also brings out the shallow treatment of Rafiq and Jamaal after Shaista’s demise, and depicts how ego among some is more important than human relationships and sacrifice. What Omair tries to portray through his novel isn’t Jimmy’s life journey or his experiences that draw him to his untimely end. Instead, this is about the change in the Mohalla, a change in the life of his father Rafiq, and consequently a change in the family’s circumstances, from being privileged and protected, to ending up being marginalised and struggling to find their place in the world. Omair’s telling of this story holds true, not just for the marginalised Muslims in U. P. or India, but any minority community in the country or in any other part of the world, where, what happens to you and where you end up is shaped by where you stand in the society, and the opportunities that you have, given the socio–political environment. Although Omair paints a vivid picture through his carefully constructed, true-to-life characters (Jamaal and his classmates, Shabbir, Rafiq, Shaista, the University Dean, and others), it is also a socially and politically relevant novel. People often ask, where is the voice of the liberal Muslim who steers clear from speaking his/her mind. Omair’s is that voice, and through this wonderfully woven tale and a deftly handled plot, it deserves to be heard.